Safe Bet by Monica Murphy Release Tour & Review - My Life Is A Fairytale That Will Never End. Well, this book was sweet. I loved being in Drew + Fable world again. It felt like going home, and I am so happy they are still as strong as ever, together. 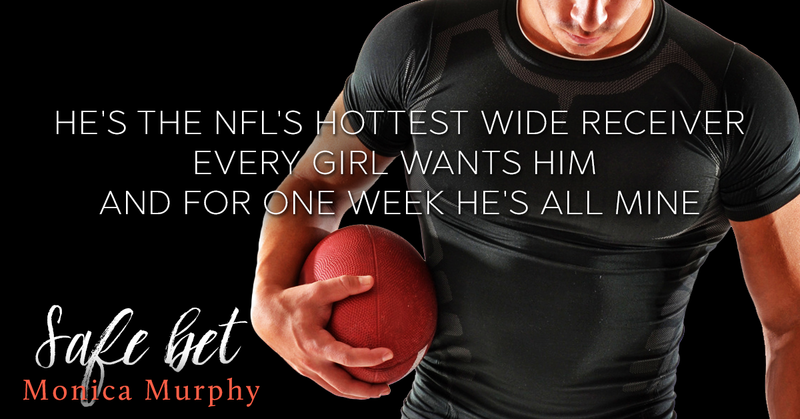 Safe bet is a fast read filled with a really nice and sweet romance. Sydney is a really down to earth girl. She made some mistakes (who didn't when they were 17?) but she is determined to make amends and go on with her life. The job at Challahan's is the perfect fit for her. She really likes it and the independence it brings is good for her. Wade has grown up and became an adult. I remember him from the first two books, and I am glad he chose the right path to walk on. He is really nice and cares a lot about Sydney. Which was so refreshing! The lack of drama in this book was pure relief. On the romance side, Safe bet was good. Believable. This sort of thing could have happened in real life. There wasn't much drama to it, which brings this book a wave of freshness - I believe this is becoming a trait for Monica Murphy, which is good. All in all, Safe bet was a good read. I highly recommend it to all romance lovers, and young adults out there!